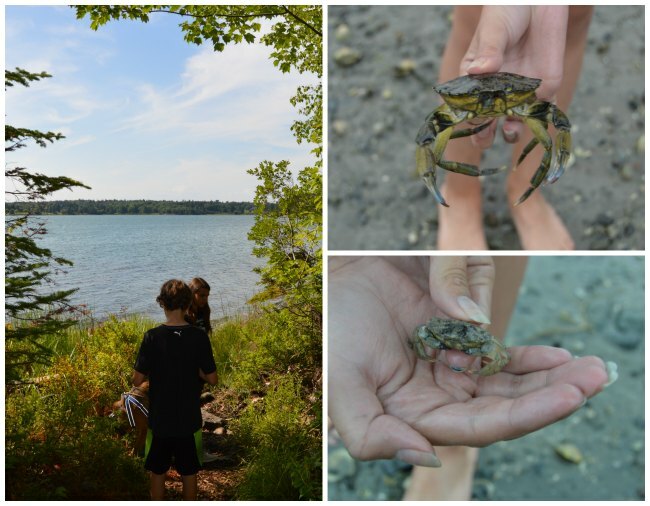 Maine is the easternmost state in the contiguous United States and my husband and kids had never been there so we added it into our Northeast summer road trip itinerary. 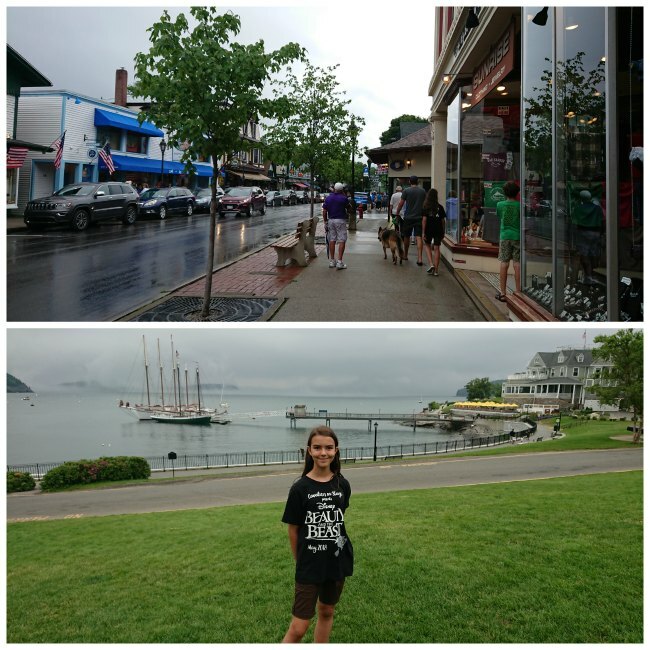 We picked Bar Harbor as our Maine destination because if it’s proximity to Acadia National Park and I can’t say enough good things about this vacation spot. 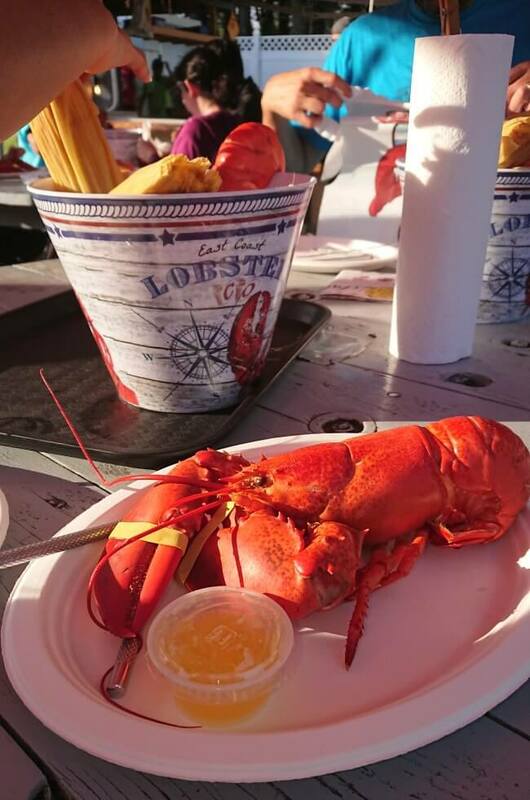 I chose Bar Harbor Oceanside KOA as our home base for this part of our vacation and it turns out it is an is absolutely perfect spot to enjoy the shoreline, jaunt into Bar Harbor, or for visiting Acadia National Park with ease. 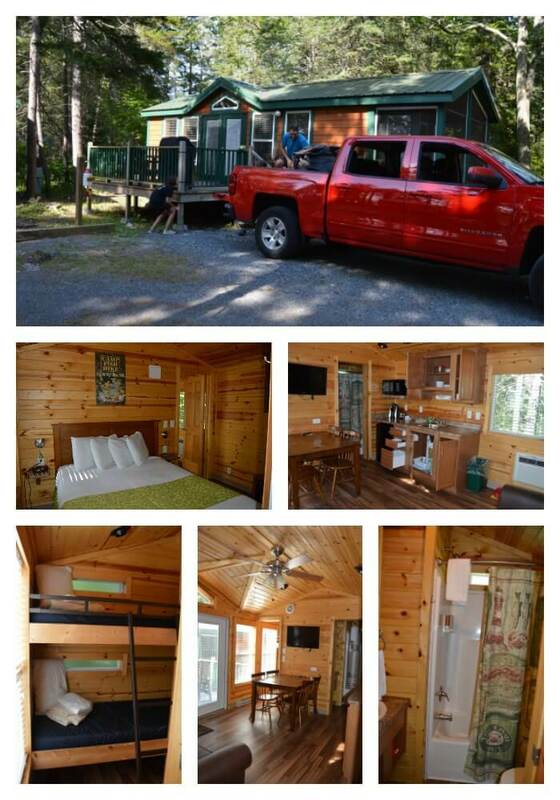 KOA did provide us with a cabin to facilitate this review. View of a Bar Harbor Oceanside KOA cabin from the shoreline. 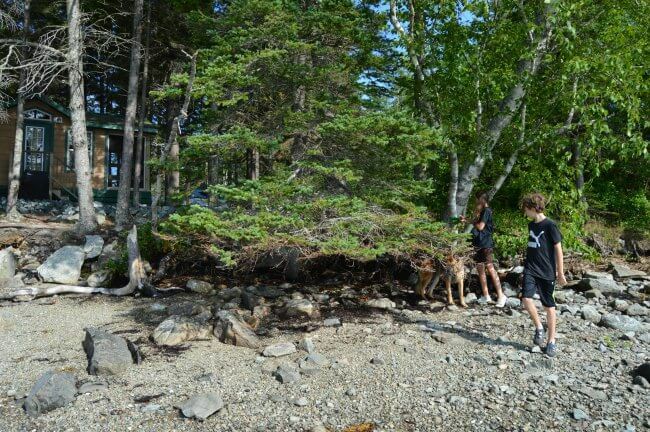 When we got to Bar Harbor Oceanside KOA, we checked out our cabin and then walked right over to a close access beach area. 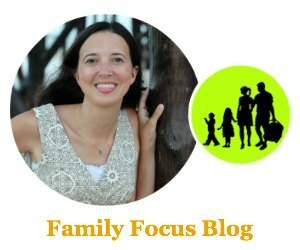 We immediately met another family enjoying the beach and staying in the cabins. They were from Pennsylvania and this was their third summer in a row spending their summer vacation at Bar Harbor Oceanside KOA. I could see why. We only had two days to spend in Maine but this was such a beautiful location and the Bar Harbor Oceanside KOA had tent camping, RV parking, and cabins, right on the beach. 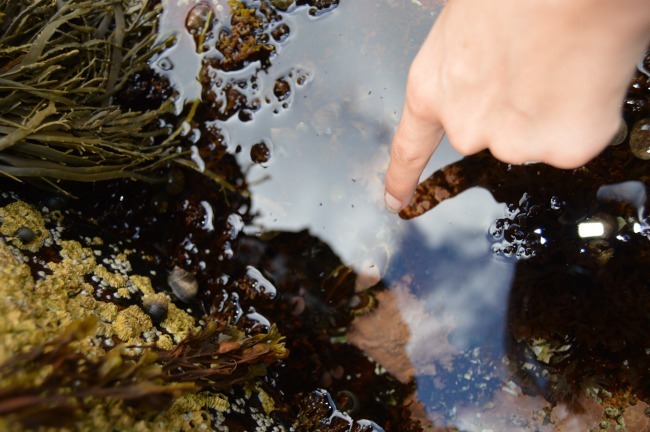 The beaches were sandy and rocky and my kids loved checking out the tidal pools at low tide. We saw big crabs, little crabs, hermit crabs, shrimp, mussels, clams, fish, and even a jellyfish right there on the KOA beach. 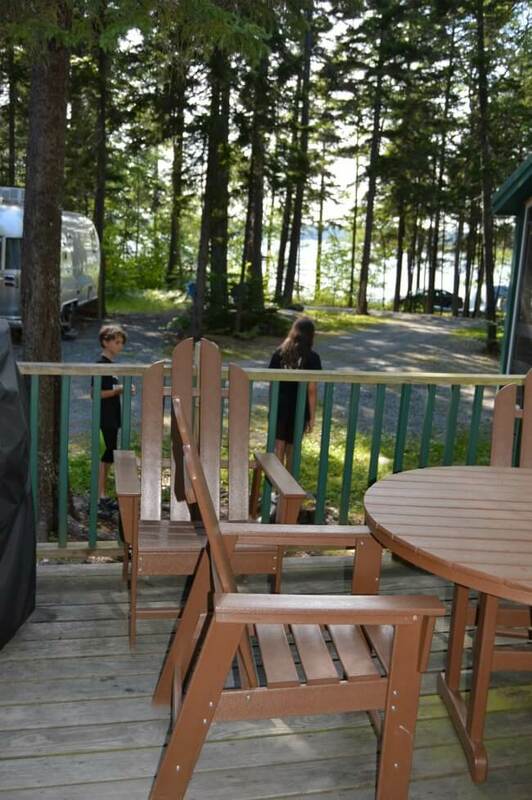 We also loved our Bar Harbor Oceanside KOA Deluxe Cabin. It had a room with bunk beds for the kids, a kitchen, dining and living area, a bathroom, a bedroom for us, and a screened porch. It had everything you need in a little footprint. It also had all the creature comforts like TV, AC, heating, and ceiling fans. My husband said he’d like to retire to a little cabin like that someday there in Maine. I really enjoyed that they offer pet friendly cabins as well. The front porch (with BBQ grill) and fire pit for enjoying s’mores and warming ourselves by the fire were also major perks. 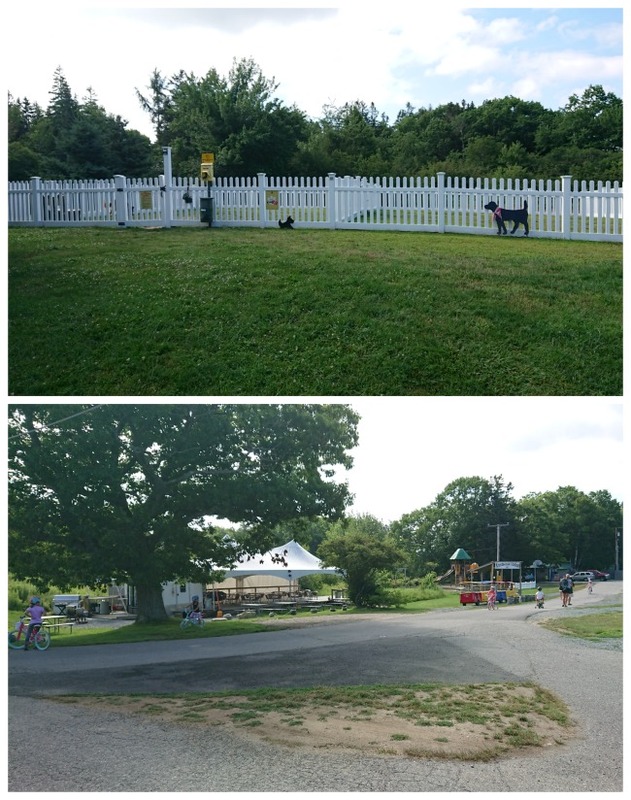 The Bar Harbor Oceanside KOA amenities include the beach access I mentioned earlier, a nice big dog park, Wi-Fi, a playground and outdoor fun area with games like corn hole and a cute little train ride. They even offer a free shuttle from Bar Harbor KOA campground directly to Acadia National Park. 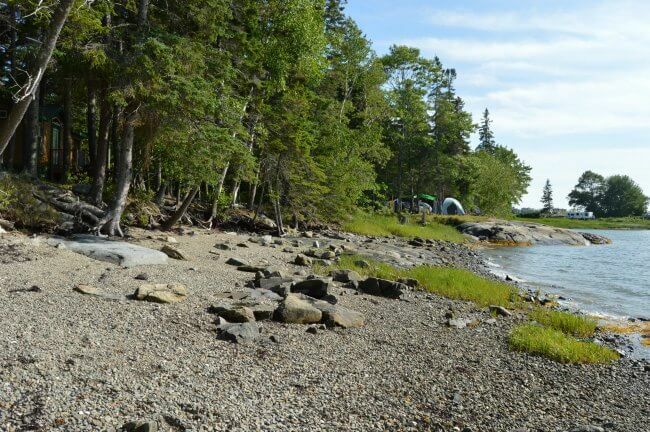 The Bar Harbor Oceanside KOA is conveniently located for visiting Acadia National Park. There is so much you can do at Acadia National Park and that family I met has been exploring different hiking trails for three years. They also suggested the ranger-guided tours and activities for the kids. We started off with a driving tour of the scenic 27 mile Park Loop Road. Along the way we found a few parking spots and pooled over to explore tidal pools, harbor views, Thunder Hole, Sand Beach, Cadillac Mountain, and take the walk to Bar Island. Our first day there it was very misty and so we ended up taking the drive through the Park Loop Road again the second day to catch entirely different views when the sun was shining. It was beautiful both ways and we varied our stops each day so that we got to explore different things. Acadia National Park was just gorgeous and I hope to return someday and try out some of the hiking trails. The Bar Harbor Oceanside KOA is also very close to town of Bar Harbor which is full of cute shops, eateries, and spots to stop for a drink or ice cream. We enjoyed an afternoon of strolling along and checking out the shops the harbor views. 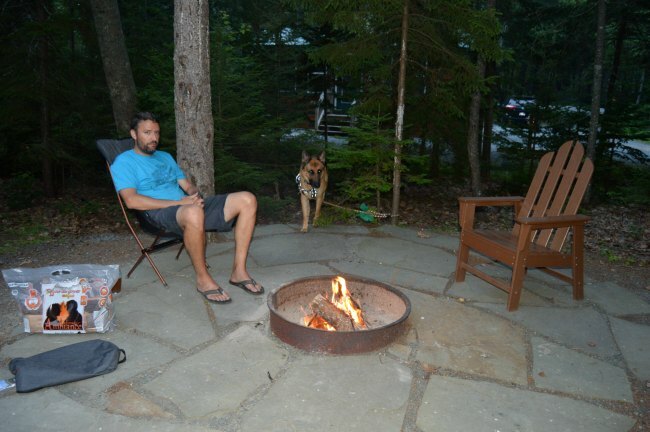 Have you ever stayed at the Bar Harbor Oceanside KOA? 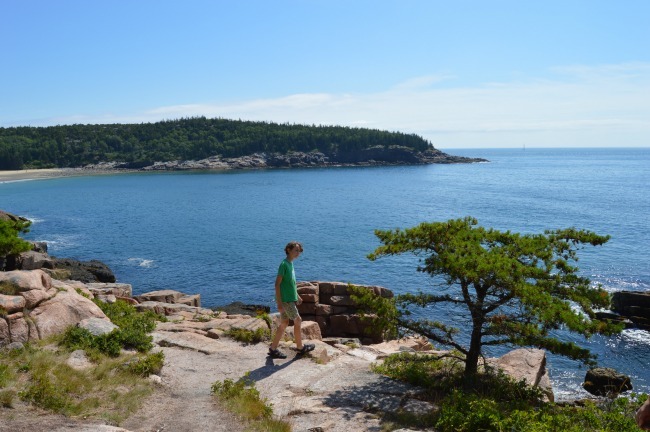 Are you planning on visiting Acadia National Park? 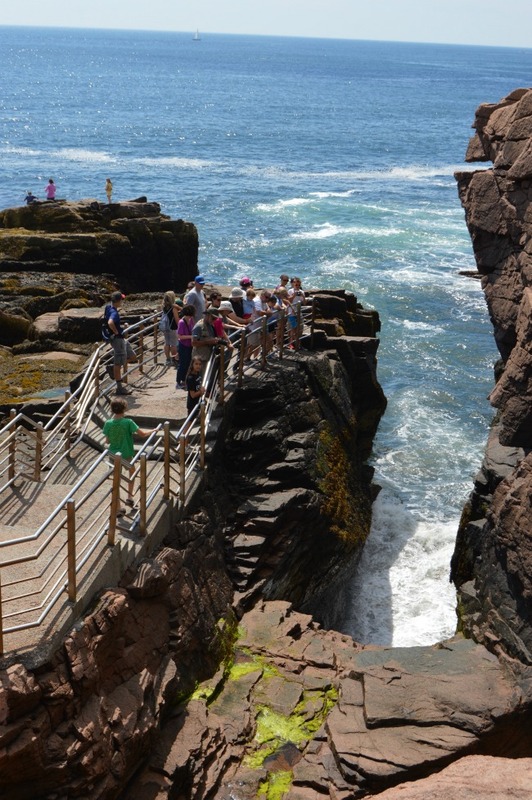 What are you most excited to see, do, or eat while you are in Bar Harbor, Maine?